Change Auto Glass Repair and Replacement Services, Providing affordable and reliable Windshield Chip Repair, Crack Repair, Broken Card Window Fix, Back Glass Replacement, Door Glass Replacement, Window Regulator and Motor fix. All Services come with life time warranty and complimentary mobile service. Change Auto Glass offers same-day, factory-quality auto glass repair, and windshield replacement services for all makes and models of automobiles, trucks and commercial vehicles. Our goal is to make the inconvenience of broken auto glass or chipped windshields as minimal as possible. Change Auto Glass now providing same day Mobile Auto Glass services to all bay Area cities, Orange County and surrounding areas. A Mobile Auto Glass service is one of the easiest ways to replace crack windshield, broken door glass or back glass. Customers can call for an appointment, a technician equipped with tools is sent to replace the glass in Garage or outside the house. Change Auto Glass realizes that our success is based entirely on results. This is why Change Auto Glass offers LIFE TIME WARRANTY on all glass defects and craftsmanship. If for any reason customer is not satisfied with installation, simply call, and Change Auto Glass will work with customer until fully satisfied. Change Auto Glass provides OEM (Original Equipment Manufacturer and After Market Glass). If customers have insurance, just give insurance firm Change Auto Glass phone number 1-800-510-0873 and they will find us on their database and will forward a claim. Change Auto Glass do all the Insurance Paperwork, directly bill Insurance and in most cases waive the deductibles. 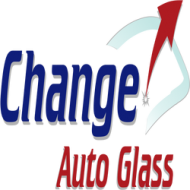 Call Change Auto Glass at 1-800-510-0873 or fill an online request quote form to schedule an appointment, visit us https://www.changeautoglass.com/coupon too see any specials or go to https://www.changeautoglass.com/mobile-auto-glass-services to find more info. Change Auto Glass prides in its commitment to excellence in customer service, quality parts and workmanship. With more than 40 counties throughout California, https://www.changeautoglass.com is proud of its achievements and will continue to serve all customers auto-glass needs.